UPDATE: This quilt has now sold but I can make you something similar, please enquire. This original Karen Platt landscape quilt is called ‘Pebbles On The Beach’. 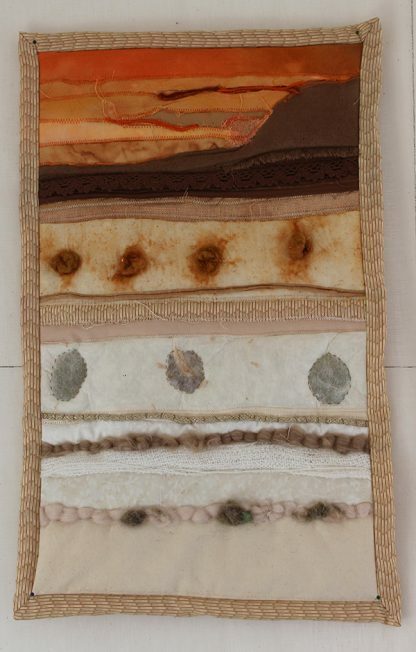 It is a mixed media quilt designed to be hung on the wall. 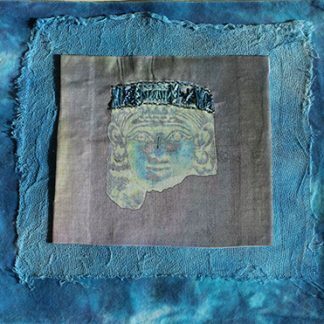 The quilt is also embellished with merino wool and threads such as a rope like thread which has metallic gold, and silk threads as well as silk fibres. The quilt has been bound in pure cotton fabric. The backing is plain calico 100% cotton. Over 95% of the fabrics are pure natural fabrics. The wadding is 100% polyester. The cotton used to machine stitch is 100% cotton. 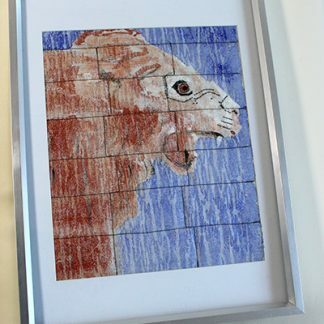 The quilt also contains some hand stitching – the merino and threads have been hand stitched into place with couching and the leaves embedded in the paper have been outlined with hand stitch. It was entirely designed and made by Karen Platt. 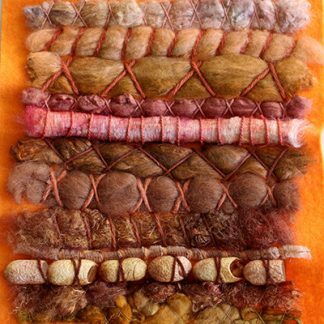 The design was inspired by a sunset and by pebbles on the beach represented by the merino wool, silk fibres and also by the leaves embedded in the handmade paper. I chose a neutral palette for the beach, with a dark horizon and cliffs and warm colours for the sunset. This is a one-off original design and although I can make similar designs, I cannot exactly repeat this one. It comes with an original label. This quilt measures 30 x 49 cm (12 x 20 inches) approx. It would grace any home. If you enjoy making quilts, take a look at the landscape quilt tutorial online. There are other quilts to buy on the website too, all Karen Platt Originals. and my one-off fabrics that cannot be repeated are available in my Etsy shop. I am currently adding new stock.